Over the past year or so my washi tape collection has significantly grown. There was a time where I could fit them all into little craft boxes, but then that quickly changed into full size drawers. Being that I just recently moved, the majority of my collection has now gone on to new homes and crafters that could make better use of them. One thing, though, is that I made sure to keep all of the cute washi tapes from my dear and generous penpals. Their tapes are all safely stored in my travel passport organizer, you know, the one that I scored on Ebay for $2! For those looking for unique and cute washi tape designs, I would recommend looking on Etsy or Amazon. There are so many styles and sizes to pick from, it'll make your head spin. Or for those that are active Instagram users, you may be lucky to find some people that are willing to do a swap with you. That's always fun! I did a few of them here, here, and here. 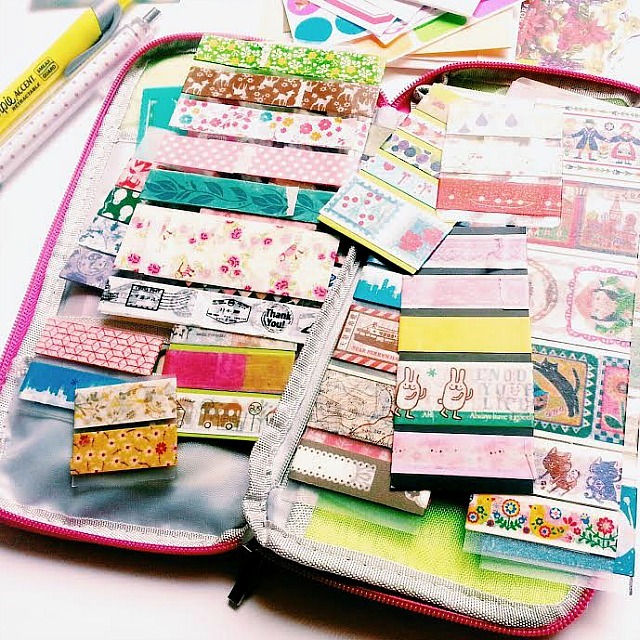 Also, one of my good Instagram friends, Doris, has an online store called DodoShop, where she sells pretty cute stationery including stickers, pens, and a few Midori items. That's where I also purchased my Traveler's Notebook pocket inserts a few months back. What are your favorite shops and resources? Thank you, Sarah. Yes, please do! I'd love to see it!! 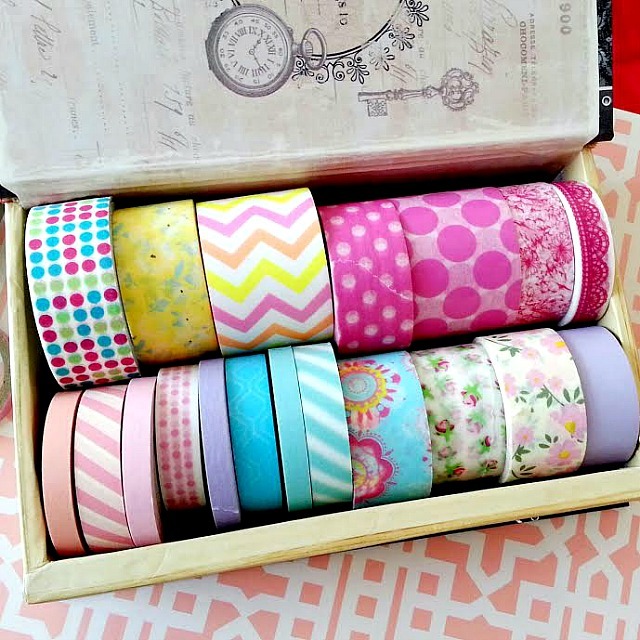 You have such pretty washi tapes! Love it! 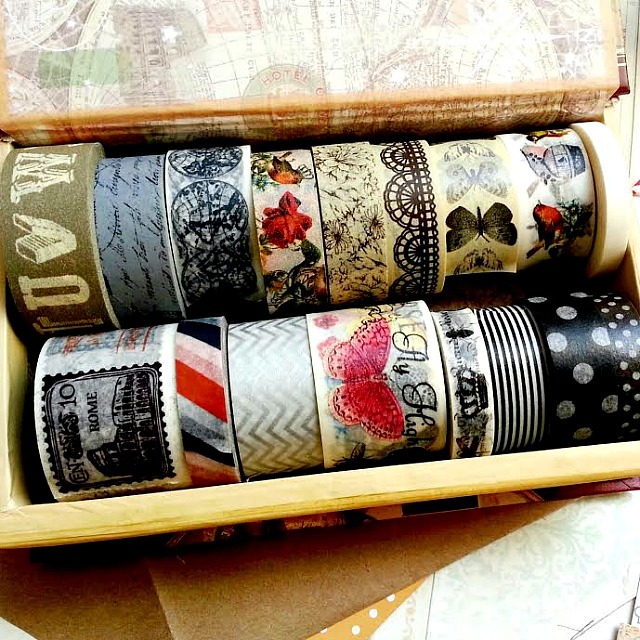 Wow - the vintage style washi tapes are divine. I love picking up new washi tapes from papercraft shows; there's always a few new styles around. And just now I'm trying to find the best storage/holder for my desk... it may end up being a DIY project. I love washi tapes! so easy to use.. and so helpful with decoration a blank sheet!